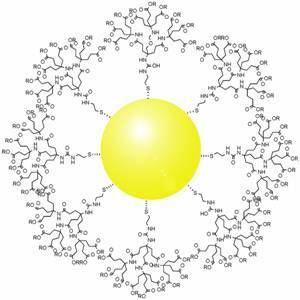 Global Gold Nanoparticles Market Size is expected to reach 4.99 billion by 2020, witnessing gains at a CAGR of 24.7%. Positive outlook towards the increasing applications of nanotechnology in medical and dentistry such as drug delivery systems, nanomedicines, therapeutics is expected to drive industry demand. Global nanoparticle demand in biotechnology, drug development and drug delivery is expected to exceed USD 90 billion by 2020, growing at CAGR of 17.1% from 2014 to 2020. With constant innovation and increasing demand for smaller, versatile and smarter devices the global electronics industry is expected to be one of the fastest growing gold nanoparticle markets. There has been a surge in demand for this technology, especially gold nanoparticle inks for storage devices, hard disks and microchips among others. These inks have also found applications in thin film transistors and photovoltaic, photo-sensors & detectors. Stringent regulations for nanomaterials specifications and use, along with fluctuating gold prices are expected to be key challenges for industry participants over the next six years. – Global gold nanoparticles market volume is expected to reach 12.7 tons by 2020, growing at a CAGR of 23.3% from 2014 to 2020. – Medical applications are expected to continue dominating the industry, with demand estimated to reach USD 2.6 billion by 2020, growing at a CAGR of 25.2% over the forecast period. – Electronic applications accounted for over 21% of global volume in 2013, with demand expected to exceed 3 tons by 2020, growing at over 25%. – North America gold nanoparticles industry revenue is estimated to reach USD 4 billion by 2020, growing at a CAGR of 22%. Demand in Europe was estimated at USD 242.1 million in 2013. – Asia Pacific is expected to be the fastest growing regional market, with revenue estimated to exceed 1.7 billion by 2020, growing at over 28%. – BBI Solutions, NanoSphere, Nanostellar, Sigma Aldrich Corporation, Johnson Matthey, Metalor Technologies SA and Cytodiagnostics are some of the notable participants in this industry.